In the Mississippi Delta, funerals bring out the best in people, while weddings, which are supposed to be happy occasions, bring out the worst. 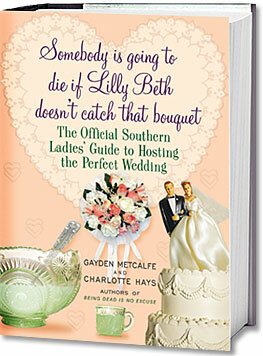 In this hilarious and astute book on southern customs, you’ll learn about the machinations and foibles of the mother of the bride (MOB), brides-to-be, and various members of the entourage. You’ll be laughing in agreement long after the last sip of Presbyterian Punch (or something stronger) has been drunk.